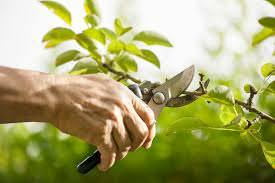 A lot of benefits are associated if you are pruning a tree. It can keep the people around it quite safe and hence pruning of tree is quite important. A lot of people, power lines, as well as buildings, can be endangered if a dead branch falls off from the tree. Maintaining the tree and removing the dead branches is always considered as the best course of action. However, it also needs to be seen that the sixes of the tree can be quite big and it can get quite difficult for the branches to be pruned.